Mitch Daniels announced over the weekend that he will not seek the presidency. As far as I can tell, conventional wisdom holds this is good for Mitt Romney, the frontrunner about whom no Republicans seem particularly enthusiastic. The theory goes like this: Daniels, the governor of Indiana, had great potential as a candidate. He was smart and conservative. He was likeable, with a few endearing quirks. (When he travels around the state, he eschews hotels and stays with average folks willing to open up their homes.) And what he lacked in physical stature—he’s officially five-foot-seven—he made up for with the political kind, having served in the cabinet of George W. Bush. For these reasons, many were arguing, Daniels had the best shot to wrest the nomination from Romney. And maybe he did. But don’t kid yourself: You could make a case against Daniels just as easily as you could make a case for him. Daniels raised taxes in order to pay for his state’s revamp of Medicaid. That is a problem in Republicanland. He also reconciled and remarried his wife, after divorcing her. Apparently that, too, is a problem in Republicanland, because his willingness to “take back” his wife means he might make a weak leader. (No, I’m not making that up. Yes, I think it’s an absurd reason to reject a presidential nominee.) And, while it’s true Daniels served in the Bush administration, it’s also true that he was director of the budget office. Somebody was bound to notice that the deficit went way up while he was supposedly watching over it. In a perverse sense, then, Romney might have benefited from Daniels’s presence, since he could have divided the anti-Romney vote without posing an existential threat. The longer Romney can keep hostile voters from coalescing around a single alternative, like Jon Huntsman or Tim Pawlenty, the more likely he can create a sense of inevitability about his candidacy—and, no less important, pile up the delegates. It’s just a theory, of course. But so is the argument that Romney is better off with Daniels out of the race. These are real liabilities. But I’m not convinced they are fatal. And mainly, that’s because I believe the other candidates all have serious liabilities of their own. They just haven’t attracted the kind of scrutiny that Romney’s has. Rest assured, voters will find plenty not to like about Huntsman (he supported civil unions and served in the Obama Administration? ), Pawlenty (he supported cap-and-trade? ), and any other GOP contender once they start paying attention. If you want to put it in investment terms, Romney’s problems are priced into his stock. Shares for the other candidates are probably trading too high. Keep in mind that Romney has been through a presidential campaign before. He knows how to defend against attacks--and how to retaliate. Plus he has a huge fundraising advantage. Pawlenty and Huntsman would be novices, as would just about anybody else who might get in the race at this point. And, as my colleague Walter Shapiro notes, they would have to spend a lot time raising money instead of campaigning. Those are just two more reasons to expect they will look less attractive, and not more, as the campaign goes on. 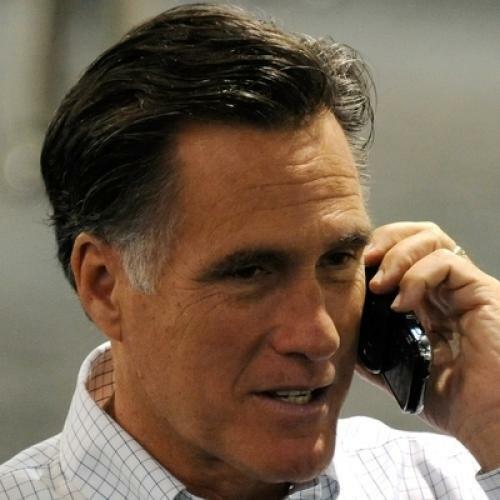 Does Romney have a lock on the nomination? Hardly. But he’s the clear, and legitimate, frontrunner. Advisory: As this item consists almost entirely of political speculation, with almost no policy content, please treat it with appropriate skepticism.